Keratosis Pilaris, Chicken Skin, Strawberry Legs, Large, Dark Pores – call it what you want, you don’t want to see them on your legs, right? I have it also, my friend, so, let’s talk all about the causes and treatments for the so-called ‘strawberry legs’. Listen, in a world where time is money, I’m just going to cut to the chase, so you and I are only going to talk about the real thing, the main questions, and concerns of Keratosis Pilaris. What is Keratosis Pilaris, Strawberry Legs, Chicken Skin…? Does Shaving Cause Keratosis Pilaris? What about Waxing Strawberry Legs? How to Get Rid of Strawberry Legs? Let’s talk Treatment! Without further ado, let’s look at the most frequently asked questions one may have regarding this skin problem. Firstly, strawberry legs medical term is Keratosis Pilaris. Keratosis Pilaris is a benign, chronic skin condition. It can be genetic, it usually occurs more in the Northern part of the world, as well as more for people with dry skin. In general, Keratosis Pilaris means that your pores get clogged with a build-up of keratin and they give you a tiny bump over the hair follicle. So the skin isn’t smooth nor to the hand nor to the eye. You may also call it strawberry legs if you have enlarged pores. And then you aren’t concerned with rough skin, more like wondering how to get rid of black dots on legs. Perhaps a more frequently heard term would be open comedones. Before rushing to the part where we discuss how to get rid of open comedones on legs, you have to understand why they occur. More on that later. Since I am NOT a doctor, look more into Keratosis Pilaris with the definition at WebMD. Keratosis Pilaris’ cause is too much keratin. Which is ironic, because keratin is the protein that is supposed to protect our skin from bacteria and infections. It basically blocks the entry to your hair follicle. This can then produce more ingrown hairs, as the hair has an additional layer to fight through to get out of the skin. Enlarged pores is a build-up of oils or “sebum”. It’s the cause of too much oil being produced, which clogs your pores with bacteria and dead skin cells. So, when you shave, you cut the pores open and the build-up oxidizes, which then makes your pores look like under a magnifying glass for everyone to see. When I first started looking into what I have on my legs, the perfect everyday example of how I could understand this build-up was to imagine floor tiles. You know the grout between tiles? In time you don’t see white in the lines between the tiles, rather a brown or black color, which is a build-up of dirt. That’s why your hair follicle appears darker, it’s holding more stuff than necessary. More on the treatment for open comedones on legs later. And finally, this clogging and build-up can cause folliculitis, in addition to KP or strawberry legs. Folliculitis is the infection of a hair follicle, which then gives you a small red bump (sometimes with puss) on the skin surface. The clogged and built-up pores aren’t helping the hairs to get out to the world. So, basically, ingrown hairs really have their own stubborn party when they can’t get out and they are being irritated with shaving or shaving with a dull razor. It’s not a pretty sight. It’s very common in areas where the skin is being rubbed or irritated most, for example, inner thighs and the back of the knee is comfy places for folliculitis after another shaving session. Yes, it’s common to have dark spots on legs from shaving specifically. After a few years of shaving experience under your belt, it can be more visible, to the point where it may seem that you haven’t really shaved, as if you have a five o’clock shadow on your legs. That’s why I take exfoliating seriously paired together with a high-quality razor. Waxing can help to clean the build-up by pulling out the whole hair out of your skin. You can benefit especially from sugaring because it works also as an exfoliator to the skin. Before choosing to wax, look into the difference between hard wax vs soft wax. Keratosis Pilaris is a chronic disease, meaning it is a long-lasting disease, it may come and go (especially during winter, it definitely comes to haunt you then). You can, however, definitely fight Keratosis Pilaris, but I should warn you right now that if you are looking for how to get rid of strawberry legs fast, then I’m sorry, but there isn’t a fast cure. You really have to be a persistent individual to control the appearance of your skin. Later on, we will talk more in detail about how to get rid of strawberry legs. As I said earlier, strawberry legs are manageable, you can reduce the appearance of them, BUT you have to religiously follow your chosen skin routine daily to actually see results. Promise yourself that you will care for your sensitive skin with ultra-attention and you will win the battle of you and your skin. This a crucial step. You have to remove the build-up so your pores aren’t so dark as well as you don’t have bumpy skin. The whole package of strawberry legs is enlarged pores, folliculitis, and KP. Guess who has that? Let’s not state the obvious, let’s move on to some helpful products. But before we move on, remember that high-quality products will be better because if you also have folliculitis, then you really don’t want to put cheap, low-quality products on the already infected area. What is the Best Strawberry Legs Scrub, you ask? Firstly, since you will most likely exfoliate more than the usual person, keep in mind that you should be very gentle when exfoliating. If it’s a scrub with small beads then use it every other day. 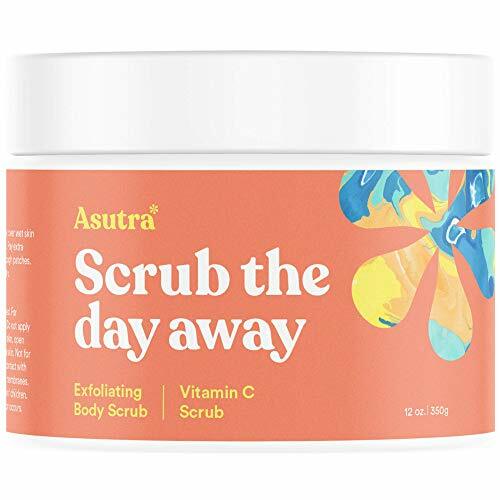 A bit pricey for a scrub you will be using probably more than once a week. If you don’t want salt in your scrub (like me), then a scrub containing coconut oil or milk is another great pick. Coconut oil/milk has lauric and capric acid, it’s an anti-inflammatory and anti-fungal gift from nature. Plus it smells nice! Once again, a bit pricey for a frequent user. If these physical scrubs do nothing for you, then you may opt for chemical exfoliants. They should contain gentle acids as AHA (alpha hydroxy acids) and BHA (beta hydroxy acids). AHA is a group of natural acids, which can be found in foods. If you haven’t heard AHA, then perhaps citric acid and glycolic acid are more heard of – citric can be found in, yes, citrus fruits and glycolic acid in sugar. The most popular BHA is salicylic acid, which you may have seen on the packaging of face exfoliants. AHA are water-soluble, whereas BHA are oil-soluble acids. AHA doesn’t absorb deep into your skin, which is good, as we don’t want more build-up. BHA, on the other hand really dives in, getting all the oil build-up. For example, a good example of BHA is Aspirin. Have you heard that you can make a paste from aspirin and water, and get rid of ingrown hairs? Yes, good ole Aspirin! 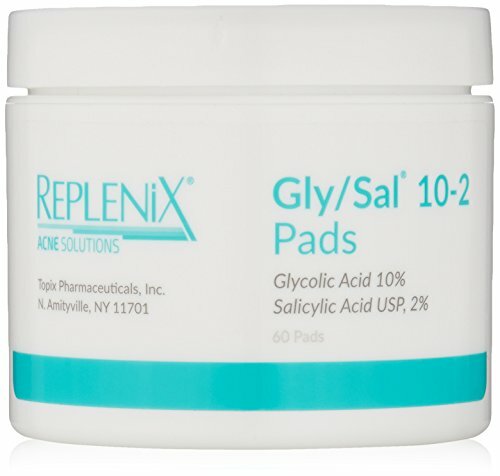 Has both glycolic acid, as well as salicylic acid, as well as hyaluronic acid. Once again, a bit expensive. Contains grapefruit and ginseng, which are not only good for exfoliating, but also for cellulite and stretch marks. The smell of it may not be to everyone’s liking. You may, of course, be interested in finding how to get rid of dark pores on legs naturally, meaning let’s talk about products available in your kitchen. First up, strawberry legs & baking soda, is it good? Yes. This is as easy as it can get. You need 2 ingredients. Baking soda and water. Make a thick, paste-like consistency. A good paste ratio is 1 on 1 – 1 tablespoon baking soda and 1 tablespoon lukewarm water. Apply on the skin using circular motions for 2-3 minutes then wash it off. If your skin thinks salt is too harsh for your skin, try brown sugar and an oil of your preference. Once again, I would go for the coconut oil (I’m a sucker for its luring smell). A good paste ratio: 1 tablespoon of sugar, 2 tablespoons of oil. Think of the consistency of wet sand. Bonus points for adding a few drops of essential oil for reducing itchiness caused by hair removal. Apply on the skin using circular motions then wash it off. Make yourself a cup of black coffee, drink it. Don’t throw away the coffee grounds. Rather, take the coffee cup with you in the shower. The grounds will be softer as they will have sat in hot water. Bonus: coffee helps fighting cellulite. Apply in slow, small circular motions then rinse off. If these don’t help, I know it can be both physically and emotionally irritating, so see a dermatologist, ask perhaps if for your case a chemical peel for strawberry legs would be advised. You know what else works wonders for exfoliating, cellulite and stretch marks? Dry brushing! Here’s an article about dry brushing 101! As we already discussed earlier, dark spots on legs from shaving are a common cause of the so-called ‘strawberry legs’, it can be even more noticeable on darker skin. You have to think, which hair removal method is best for you. 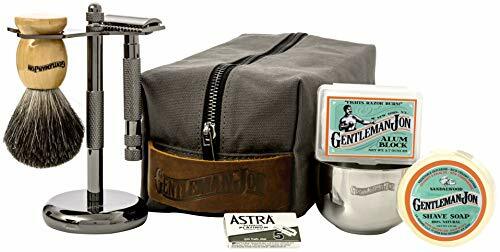 What I’ve found to work well for me, surprisingly, is a safety razor or the so-called double-edged razor, which are usually used by men for shaving their face. I’ve tried both men’s and women’s razors, with a lubricating strip or with a gel bar. And they’ve all given me a bad case of folliculitis, especially during summer. It wasn’t until a couple months ago when I bought a safety razor that I started to notice a difference. Why is it better? Because there is a single blade going over the hairs, rather than 5 single blades going over that same spot. Think about it – which razor will tug, irritate the hair more? Will your skin feel calmer after a single pass or five blades passing over it? And usually, we go over one spot more than once. That means, with a safety razor you’re going over one spot 2 (maximum 3) times with one blade, so overall it is 2 or 3 passes over the skin. Whereas with a 5-blade razor going over that same spot 2 or 3 times would mean that 10 or 15 blades will have cut the hair and skin. Therefore I highly recommend you invest in a high-quality safety razor, better yet a safety razor kit. It’s a bigger investment at first, but afterward, you only have to buy the blades, which are cheap. Trust me, you’ll be saving A LOT of money! I used to buy women’s razors which cost 10 dollars a piece and I had to change it frequently due to my sensitive skin. I’m talking about saving hundreds of plastic materials and dollars! Has everything you need, seriously everything you need. Heavy duty steel, which gives it the perfect balance to smoothly glide over the skin without adding pressure. You will need to practice shaving with this kind of razor if you haven’t used it before. But nothing that can’t be learned. Waxing and epilating are your best options. Since there are many options of epilators and wax, you can read more about the best at-home waxing kits and the best epilators right here on Miss Coty. Let me just say that these are semi-permanent and permanent (electrolysis) hair removal methods. Imagine the time and nerves you could save, plus a boost of confidence because now you wouldn’t have to worry about if you can wear shorts or dresses. I mean, can you imagine your strawberry legs GONE? I started doing laser hair removal last month – full Brazilian. I went 3 years non-stop to a waxing salon but then I visited Spain where the prices are ridiculously affordable – 30 Euros (about 35 USD) per session. And after the first session, giiiiiiirl, 1/3 of all hair fell out. Although I’m not going to be in Spain for another session, that’s still one session cheaper than I would have had at my city. Since laser hair removal needs 5 to 8 sessions on average and you can have a session once every 4 to 8 weeks, then during those 1 – 2 months just put some money away you would usually use to buy either razor, shaving creams or going to a waxing salon. This is the plan I’ll do – just put aside the money I’m spending on creams, razors, aftershaves and other stuff every month. If it’s a serious case of folliculitis, I would recommend looking into laser hair removal. For legs, definitely laser hair removal, as electrolysis is a longer and a more expensive process. Just think about laser hair removal for strawberry legs. Please and thank you. Find out more on laser hair removal vs electrolysis. 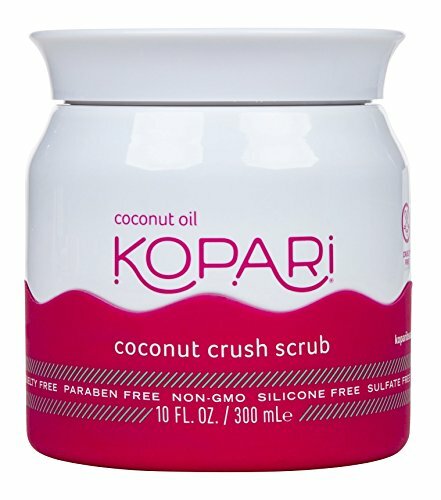 Very similar to exfoliating, you can get yourself moisturizers that also help exfoliate the skin a bit, while at the same time deeply moisturizing it, because as we now know KP is very common in people with dry skin. Some good options are creams that contain alpha-hydroxy acid, lactic acid, salicylic acid, and urea. 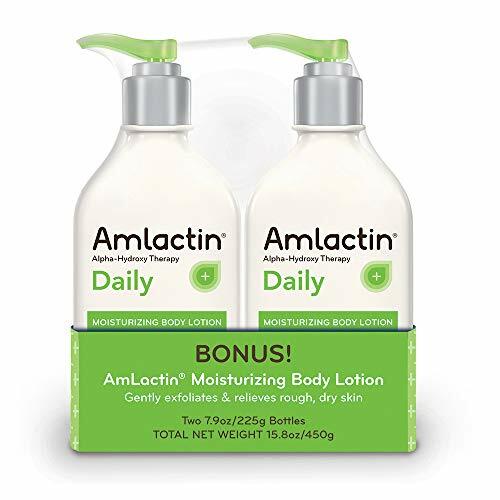 It’s been said that Amlactin lotion for keratosis pilaris is one of the first choices you should consider. Some have got a rash from it, if so stop using it. In order to prevent strawberry legs, you, firstly, have to follow your skin care routine rigorously. Change your towel at least once a week. Change your loofah or exfoliating glove either every month or every two months. Try dry brushing before the shower to get even more dead skin cells off as well as improve blood flow. Make your skin care routine and stick to it every single day, for faster results. Eat a balanced diet to manage strawberry legs, both folliculitis and keratosis pilaris. If you shave, change the blade frequently, very frequently to make sure it is clean and sharp each time. If it’s a safety razor then cleaning it is pretty easy. If shaving is your go-to method, always use either shaving cream or hair conditioner to moisturize the hairs. Do everything with lots of LOVE for your skin, don’t over-brush, over-exfoliate, over-moisturize (which can lead to blockage), don’t over-abuse your skin! And lastly, there are some other products that can be of assistance if you’re traveling or it’s just summer and you get sweaty. Good options are cotton pads filled with AHA or BHA. May be too expensive for large body parts, like the legs. If you’re looking for how to lighten dark pores on legs, then use this after your preferred hair removal method and be amazed! Really works, but only if you also use a moisturizer, because this will dry out your skin really fast. A popular solution in Europe to Tend Skin Solution is Ingrow Go by Skin Doctors. My hope is that you’ve learned something new regarding strawberry legs aka keratosis pilaris. This may sound as cliché as it can get, but please keep in mind that each individuals’ skin is truly different, some have allergies to Aloe Vera (so they cannot use the soothing and calming properties of the plant), while others are allergic to Aspirin and then cannot use Tend Skin Solution. For example, I have curly hair, it “only” took me more than a few years to learn what my hair reacts to best, while for others that product would be the absolute nightmare. I’m still learning new maintenance techniques and products for both my hair on my head as well as my hair on my body! Keep Calm and Unfriend Strawberry Legs!